Construction colossus Lendlease sold a quarter of its retirement village business to a pension fund from the Netherlands, APG, late last year. We are talking about a portfolio of more than twelve thousand units across Australia, spanning 71 retirement villages in six states and territories. For the sale of the 25 per cent stake in its Retirement Living division, Lendlease picked up $470 million and the business was promptly shifted into a new corporate vehicle, a joint venture between the Dutch and LendLease. The timing is interesting as, hard on the heels of the sale, the new joint venture lent $400 million back to Lendlease, and shortly afterwards, Lend Lease declared it would spend $500 million buying back its own shares. In other words, Lendlease was effectively lending money to itself to prop up its own share price. The question is, why would its new partner, the Dutch pension fund APG, which is the steward of $790 billion in money under management, agree to give Lendlease a $400 million loan? Why tip itself straight into debt? The reason is not apparent, and Lend Lease declined to respond to questions for this story. Yet this unfathomable deal is by no means unusual for Australia’s retirement and aged care sector, a sector characterised by byzantinely complex financial arrangements. Last month, an investigation into the industry by michaelwest.com.au found three of the major players, Lendlease, Stockland and Aveo, had amassed a war-chest of $10 billion in interest-free, unsecured loans from their elderly residents; money which could be deployed in any fashion the operators desired. The curious Retirement Living deal with the Dutch – from which Lendlease somehow managed to book a loss despite the fabulous profits it had been making in the retirement industry and a booming property sector – also belies the slick public promulgations of this leading ASX blue-chip. This is a company which presents superbly. To the investment community and the public in general, it drives home its high earnings, quality assets, negligible debt and substantial tax payments. But what lies beneath? Over-enthusiastic asset revaluations of up to 83 per cent enhancing profits. A large proportion of reported profits are due to revaluations and reclassifications (around $2.5 billion in non-cash profits over eight years). Of the $426 million profit announced at the last interim, some $274 million came in the form of unrealised gains. Borrowings from joint ventures enhancing headline debt figures. The company appears to be a far better corporate income taxpayer overseas than at home. The Senate is expected to announce hearings for its inquiry into aged care and the corporate structures which control it in coming days. Lendlease may not be called to appear as it sold out of nursing homes in 2013 but – perhaps lured by government subsidies and the attractions of vertical integration – it is again getting back into the publicly-funded residential aged care business. 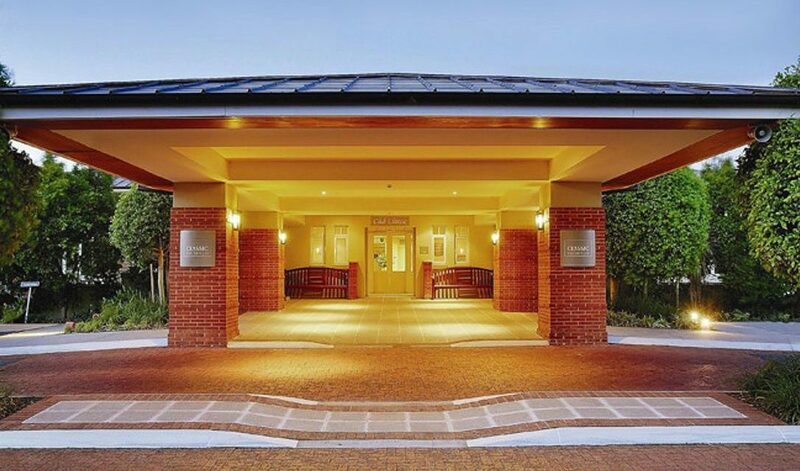 In the most recent round of government funding approvals last year for new residential aged care places, Lendlease’s retirement village operations were the biggest winner. The group was awarded 756 new aged care places worth an estimated $50 million a year in recurrent annual government funding. The deal with APG was announced after market on October 17 last year. There was no “analyst call”, or teleconference, with the sharemarket analysts who analyse the stock. The announcement coincided with an admission of a downgrade to earnings in the construction business, and although described by the company as “lower than the prior corresponding period”, was later estimated to be a $190 million loss by JP Morgan’s research department. It was a rosy picture indeed: a company ostensibly chockers with cash, tiny debt, plenty of financial muscle for a share buy-back, a “capital management” initiative designed to deploy all the surplus cash. Yet, according to a note from JP Morgan, $360 million of post-tax profits were booked from revaluation movements, origination fees or realised commercial or residential for rent profits”. At the call, the transaction with APG was picked up though, if not entirely explained. “Hi guys. I just had a quick question for Tarun on the cash-flow statement. Just looking at the bridge you provided on slide 11, particularly the Retirement Living transaction contributed $800 million. Very much a fair share apparently. The cashflow statement shows “Net loans from associates and joint ventures” at $381 million, which again goes to the question of what deal was done with APG to give Lendlease the loan. Whether tactical or not, Lendlease managed to declare a net loss on the transaction of $35 million. As the retirement village business was reclassified as an “equity accounted” investment, Lendlease got the opportunity to revalue its 75 per cent stake (resulting in “earnings” of -$102 million). Bearing in mind the Dutch had only acquired one quarter of the Retirement Living operation and Lendlease retained 75 per cent and maintained its minority partner has “joint control”. If it has joint control though it makes the deal, the big loan to Lendlease, seem even weirder. There were two benefits of claiming its 25 per cent equity partner had joint control: one, it allowed the revaluation to be triggered on the 75 per cent it didn’t sell and, two, the new $400 million of joint venture debt did not have to show up in the Lendlease financials; it did not need to be consolidated. 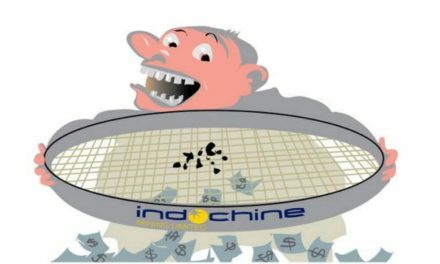 So Lendlease was able to count the $400 million “cash” in its net debt calculations, making its overall debt seem lower, while the 75 per cent share of the $400 million debt from the Retirement JV was excluded, hidden. If you strip out the sale of Retirement and “unrealised” profits on revaluations, the interim result would have been 64 per cent lower than the profit actually booked for the half year and down 64 per cent on the previous result. Lendlease is in good company on the ASX when it comes to sprucing up its financials, keeping its share price and its dividends high to appeal to investors. There are few exponents though as assiduous in deploying favourable non-cash “one-offs” and revaluations to manage earnings year by year. Having had the same auditor, KPMG, since 1958 no doubt helps. KPMG was paid $6.7 million last year and presided over the aforementioned double-dipping affair. It should be noted that the interim accounts are not audited so KPMG has not signed off on Lendlease’s interpretation of joint control. The key question is, are the accounting practises of Lendlease in step with its peers? Excessive asset valuations, debts buried in joint ventures and earnings built on revaluations were typical of the late Babcock & Brown, which spectacularly crashed during the global financial crisis. We are not for a moment suggesting that Lendlease faces the same fate which befell Babcock & Brown, as but the parallels are salutary for investors at a time when the shares have hit a bull-market, post GFC high of $20. Of the $426 million profit announced at the interim, some $274 million was unrealised profit, according to JP Morgan. Asset sales and revaluations countervailed a $190 million erosion of profit in the Australian Construction business. Any big developer such as Lend Lease enjoys the luxury of being able to smooth its earnings via the timing of its asset sales. This is natural, part of the business, and the timing of the sale of the massive Bluewater asset in London is a case in point for Lendlease. Had Bluewater not been sold, the last result would have seen operating cash flow negative to the tune of $441 million, for a profit after tax of $338 million rather than the $823 million reported. Although asset sales should have turned into cash over the years, Bloomberg numbers show Lendlease has generated $244 million in free cash flow in eight and a half years since the GFC. To be buying back shares then near their all-time highs – at $11 billion of equity value – after generating such modest cash, despite material asset sales, seems strange. An example of generous revaluation is the 83 per cent upswing in the value of the US Military Assets and the 35 per cent increase in management’s assessment of market value of APPF Commercial. These are big revals and have the effect of significantly lifting reported profits and therefore executive remuneration. As was the case with the Retirement Living assets – and besides the ebullient asset revaluations – “reclassification” is another practise which has the effect of lowering headline debt metrics and lifting headline earnings. The revaluation however which really sticks out is that of the “available for sale” assets (now recognised at fair value), particularly the hike in the value of the US Military Housing portfolio from $103 million to $188 million. No information was provided as to what variables were used here to determine value. 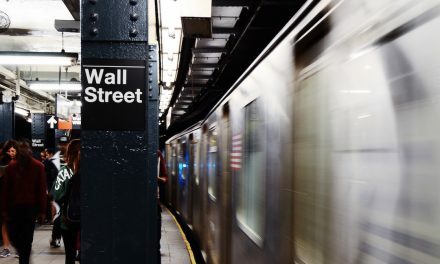 On the conference call, analysts were told there were “strong market comparables in the US market for similar assets (which) led to that valuation growth … the valuers have used a DCF, discount rate, of 8.5 per cent which we think is a fair discount rate for that high-quality portfolio”. “The equity investment in US Military Housing was revalued in the period,” said the group. “The initial development periods across each of the projects have recently completed. Subsequently, the portfolio was independently valued, leading to strong gains in underlying investment values reflecting the high quality of the portfolio and recent market transactions”. Looking more closely, 98 per cent of the $103 million in equity invested at June 30, 2017, was deployed between October 2001 and September 2010. According to Balfour Beatty, a Lend Lease rival and the largest provider of US military housing, the initial development period typically lasts three to eight years. This implies the Lendlease assets would have reached this juncture sometime between 2008 and 2013, not in the six month period from July to December 2017. In March 2018, Balfour Beatty noted in its 2017 annual report and earnings presentation that directors’ valuation of its US assets had increased by 21 per cent due to the “recent favourable changes in US tax regulations”. That explains some of the Lendlease uptick. Finally to tax; another arena in which Lendlease is putting a glow on its numbers. As with other leading companies and their tax transparency reports, Lend Lease lobs in all sort of taxes into its presented numbers to confuse the picture as to the amount of income tax it actually pays in Australia. The latest tax report shows corporate income tax paid last year was $3.6 million in Australia while the group paid $141 million overseas. While it does have extensive operations offshore, the paltry amount paid here, in light of the aggressive scheme to claim deductions in its retirement village business, suggests Lend Lease has been deeming the Australian Tax Office to be something of a soft touch. Its accounts show cash tax over eight years totals $590 million, which is around 30 per cent of cash flow from operations (net income $4.8 billion and EBITDA $6 billion). By the look of last year’s $3.6 million paid in Australia, it is a fair bet that the eight year total is but a fraction of $590 million. And if the ATO’s tax transparency tables are a guide, a very small fraction. Over the three years of recorded data to 2016, Lendlease paid zero tax and posted revenues of $24.4 billion. The total picture then is of a company which is aggressive on the tax front, and aggressive in the way it revalues, reclassifies and reports its profits and conceals its debts. In a bull market, when management has settled in for the long haul, when investors are appeased by rising dividends and a share price underpinned by share buy-backs, these sort of things “go through to the keeper”. In harder times they unravel very quickly. A new chairman is coming in. The board might begin to protect their investors by rotating the auditor KPMG who has been “on the job” for 60 years. The price of failure is high.